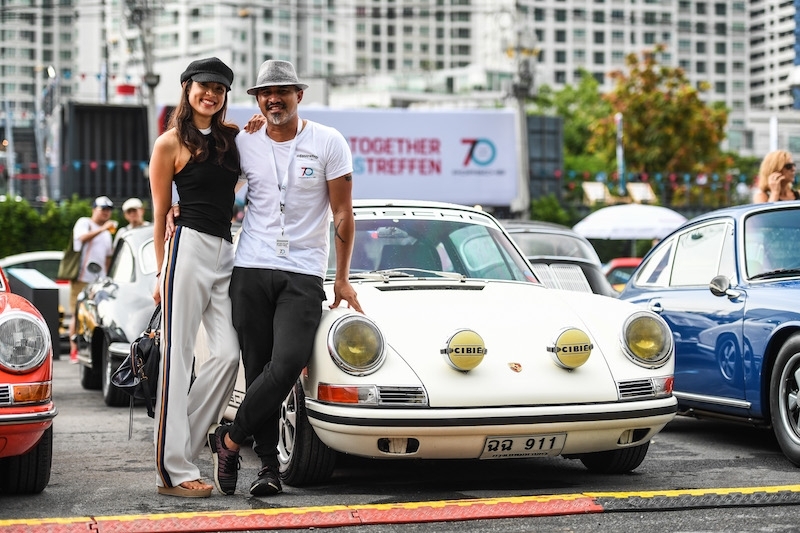 Sportscar Together Day (SCTD), Southeast Asia’s largest gathering of Porsche to mark the brand’s 70 years of sports cars, took place recently in Bangkok. The celebration even featured supercars and superstars (of the car kind of course), races and fun-filled activities for petrolhead and their families. 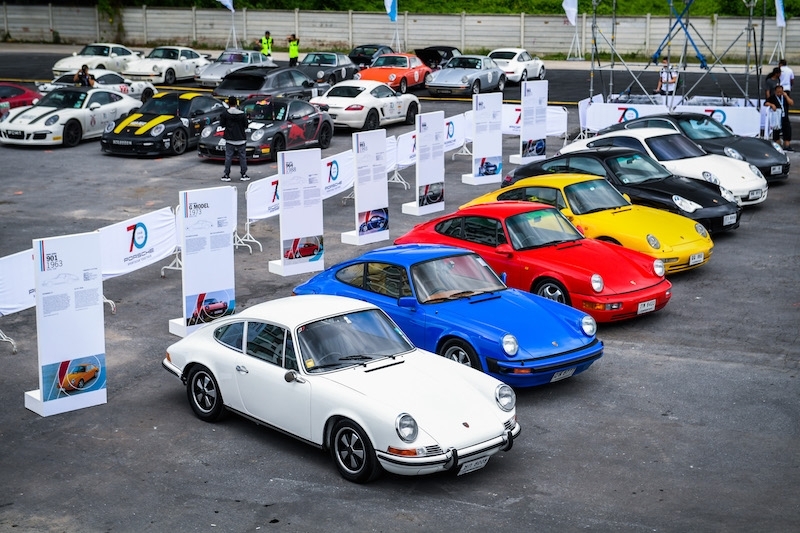 Thousands came to the event at Show DC Oasis Arena and more than 300 Porsche cars arrived throughout the course of the day. 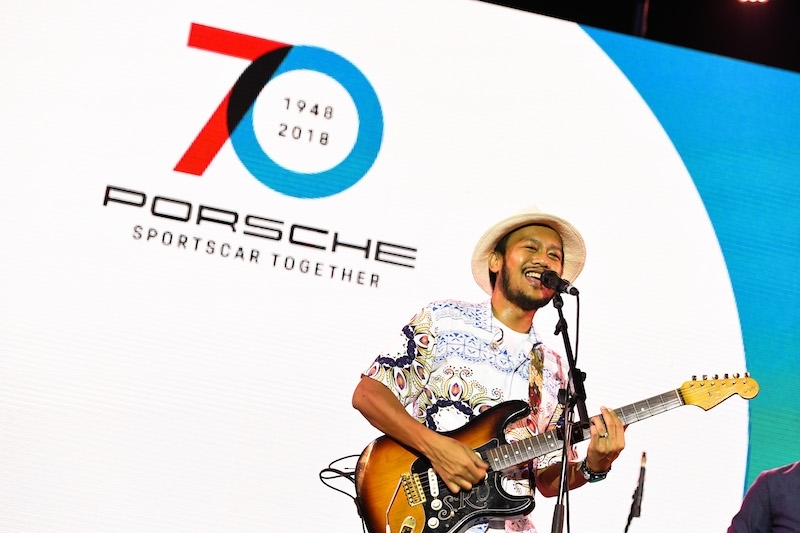 At the same time, droves of spectators turned up to watch 911 GT3 Cup cars tackle the challenging corners of the street circuit perched at Bangsaen beach for Porsche Carrera Cup Asia (PCCA). 70 years after the first sports car to bear the Porsche name - the 1948 356 “No.1” Roadster - received its general operating permit, the brand is celebrating its heritage, while at the same time looking to the future in anticipation of its first all-electric model, the Taycan. Throughout the day at Show DC Oasis Arena, guests were entertained by performances from celebrities including Thai singer-songwriter Singto Numchok, R&B idol and role-model mother Lydia Sarunrat, and top local disc jockey DJ Yukio, with actress, presenter and Instagram-celebrity Diana Chungjintanakarn presiding as emcee. 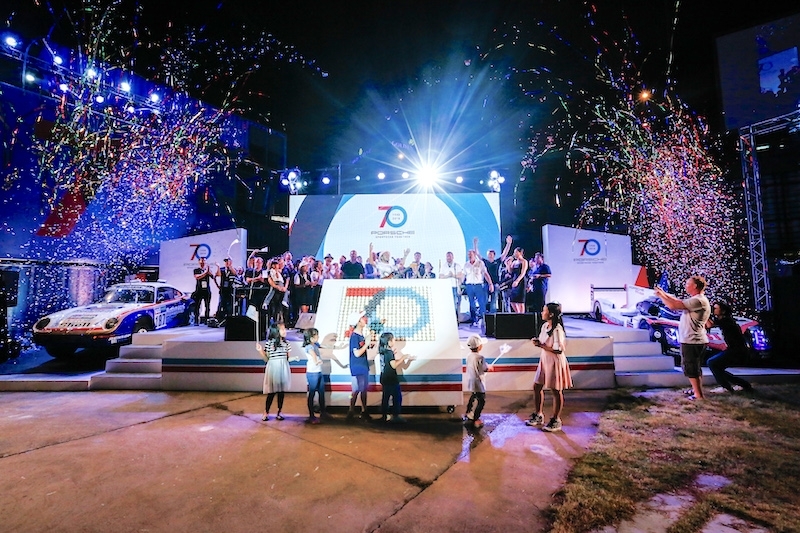 Crowning the evening at Show DC Oasis Arena, the Porsche family joined Singto cut a giant cake, made of 400 individual cupcakes arranged in a mosaic forming the Porsche logo. 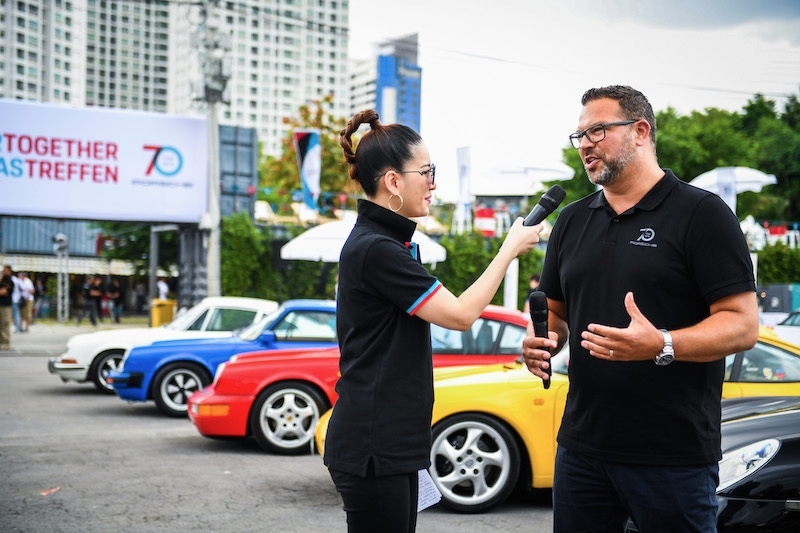 AAS Auto Service (AAS), the sole authorised importer and distributor of Porsche cars in Thailand, even had a beachside hospitality at Bangsaen where guests watchied the PCCA race while having a view of the Gulf of Thailand. 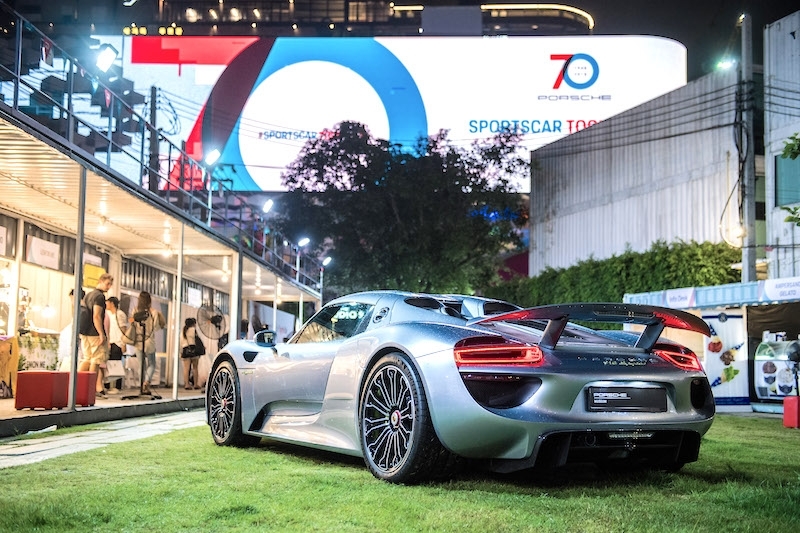 Adding to the impressively varied fleet of Porsche owner cars as well as “Das Treffen” vehicles over the two locations of SCTD, Porsche Asia Pacific flew in straight from Zuffenhausen, Germany a Porsche 918 Spyder. It is owned by the Porsche Museum, and is a powerful mid-engine plug-in hybrid sports car that smashed the Nürburgring record of seven minutes. 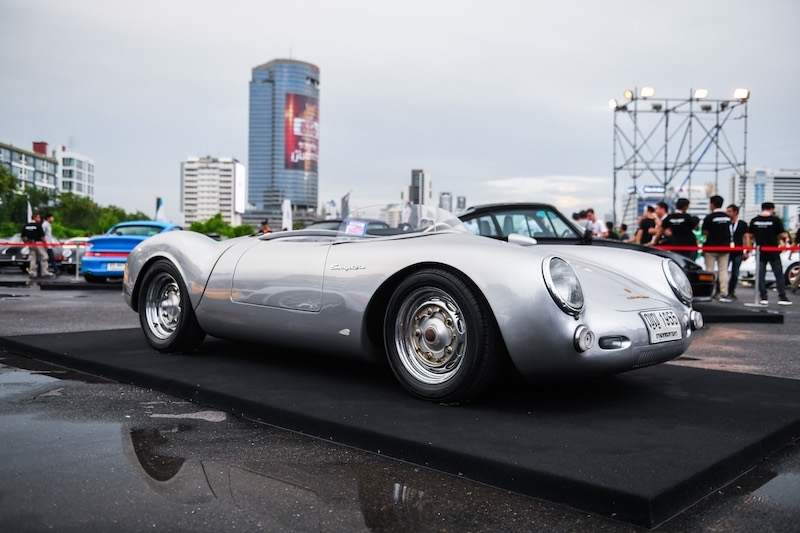 The same sports car was driven by Jacky Ickx at PCCA in Bangsaen, who made a guest appearance doing a viewing lap of the meandering circuit before the race began. 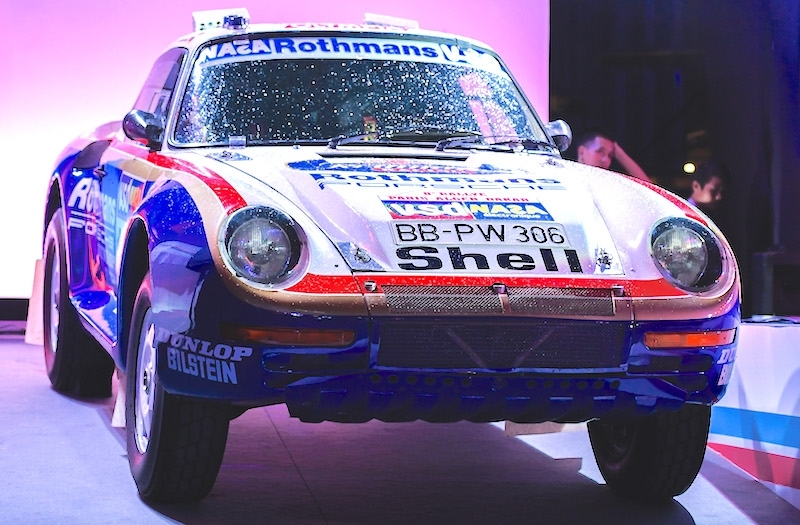 The Porsche Museum also loaned its legendary 959 Paris-Dakar, a technology demonstrator that earned its stripes in one of the world’s toughest rallies, completing the 13,800 km desert course with a one-two victory in 1986. 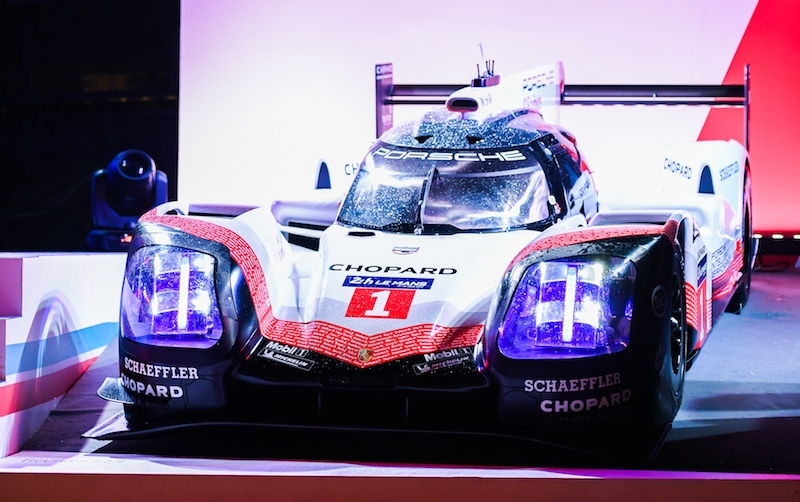 The 919 Hybrid, which is on its Tribute Tour across the world, made a stop in Bangkok and reunited symbolically with Porsche Works Driver Earl Bamber, who raced it to multiple victories at the World Endurance Championship (WEC), including 4 wins and 5 podiums in the 2017 season. It too did a parade around the Bangsaen circuit to the delight of spectators. Some cars had travelled from Singapore and Malaysia, while others were just from the neighbourhood. The vehicles represent a cross section of Porsche’s illustrious history, including every single model in the Porsche range – the 911, 718 Boxster & 718 Cayman, the Panamera, the Cayenne and the Macan. 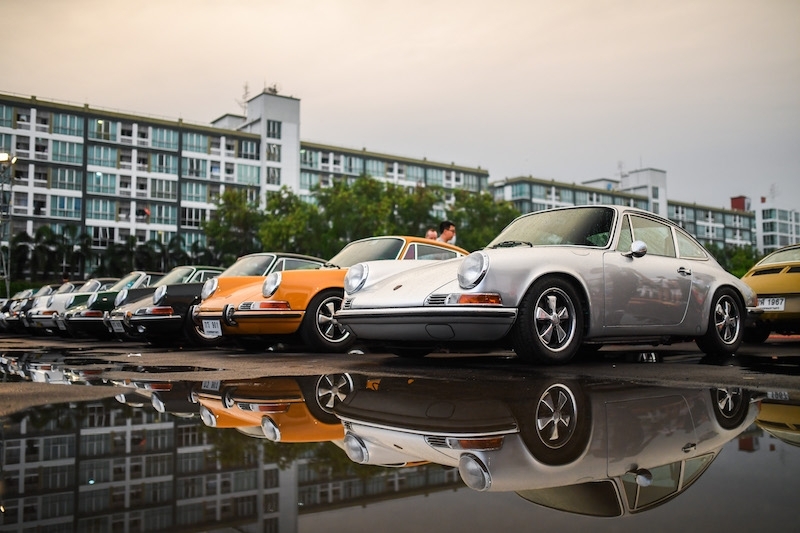 Remarkably, 6 air-cooled Porsche cars from Singapore also made the trip up to Bangkok, showcasing their durability. 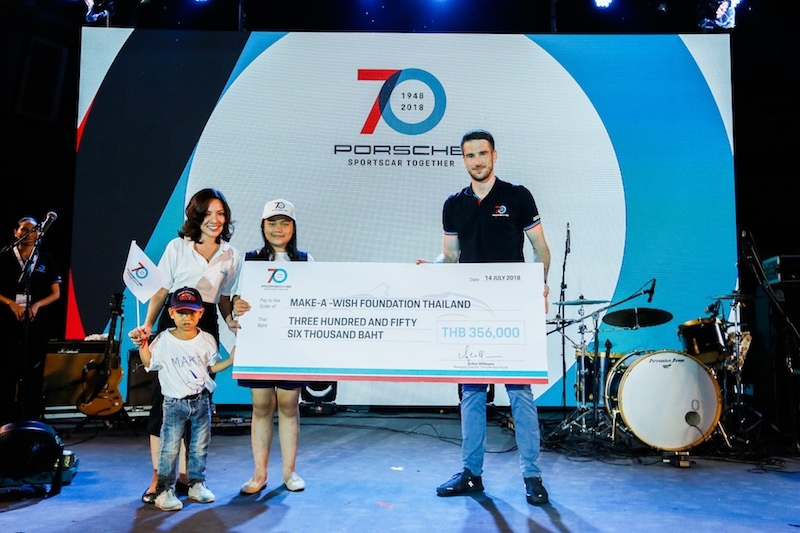 Benefiting children from the Make-A-Wish Foundation, the local arm of a global charity organisation that grants wishes for children with critical illnesses, Porsche also presented a cheque for THB 356,000. The figure was not a coincidence; it was a nod to the Porsche 356 “No.1” Roadster that started it all 70 years ago.